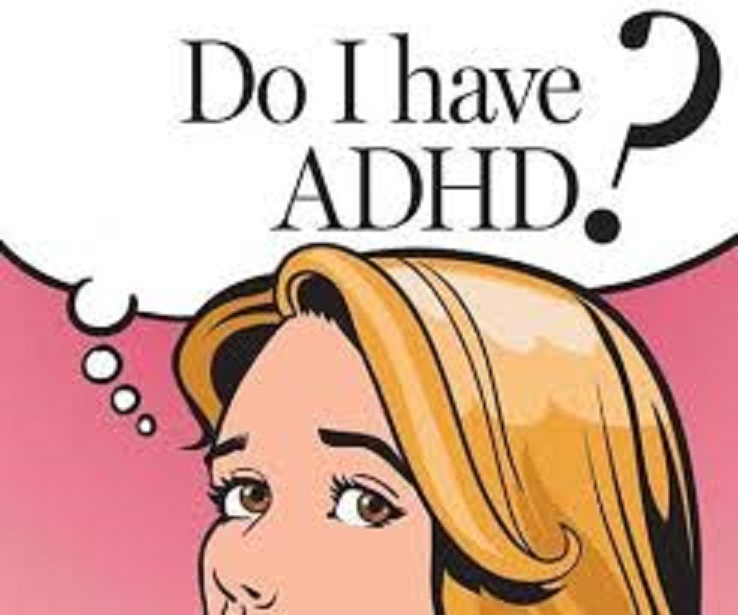 Many of us know of a child who is on medication for Attention Deficit Disorder, or an adult who suffers from migraines, anxiety, PTSD, depression, addictions, seizures or chronic pain such as fibromyalgia. But what if you knew of an alternative treatment that didn’t necessarily require medications (and their side effects) and might promise relief from these and other problems? A report in the Baltimore Sun, “Teaching the Brain to Retrain Focus” (June 11, 2000) shed light on a treatment that just might do this. The article points out that Dr. Joel Lubar, a professor and researcher at the University of Tennessee in Knoxville, had been using Neurofeedback, a type of Biofeedback, for nearly 30 years to train people with ADD/ADHD to use their brains more effectively. He claims that more than 90 percent of his patients have benefitted from this treatment. When combined with family therapy and a supportive school environment, the training has reduced and often eliminated the use of medications.I have been offering Neurofeedback for various patients for nearly 13 years and certainly agree with Dr. Lubar – at least 90 (if not more) of my patents with ADD/ADHD have shown huge benefits from their training. But this is only if they complete the 20 hours (40 sessions) of training.SHOULD I STOP TAKING MY MEDS WHEN DOING NEUROFEEDBACK? I believe that my job as a Psychologist is to work as part of a team with the patient and his physician to design the most effective treatment for the problem. If this means that the patient, with the advice of his physician, is able to reduce or eliminate medications, then it can certainly be a blessing for the whole family. I would never tell a patient to stop any medication before consulting with his/her physician. OK, SO WHAT IS NEUROFEEDBACK? First the basics; Biofeedback is simply a way of reflecting back to a person, information about what is going on in their body. For instance, if you are feeling anxious, your body will exhibit certain symptoms that will be manifestations of this feeling. Your hands may become cold and clammy, your heart may race, or your muscles may become tense, all in preparation for some perceived threat. All of these signs can be easily measured and recorded. The word “Biofeedback” simply means that bodily indicators such as temperature or pulse can be measured, amplified and “fed back” to you via electronic equipment, often a computer. Once this information is “fed back,” it is possible to control and change what is happening in your body. Scientists have been successfully using Biofeedback for over a hundred years to treat problems such as pain. While people may be skeptical about it, they shouldn’t be, because we use it everyday and have since Adam and Eve. Every time we look in the mirror or get on a bathroom scale we are using basic forms of Biofeedback. 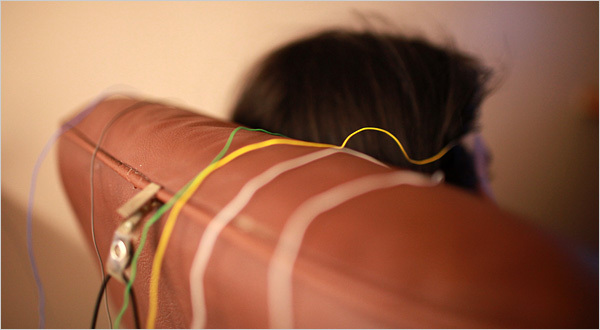 Neurofeedback is a type of Biofeedback that measures responses of our brain waves. The word “neuro” means nerve, but here it is used to describe brain activity. All we do, feel and think is mediated through our brain. A device called the electroencephalograph (“electric-head-graph”), or EEG, records electrical activity of the brain through electrodes, or small sensors, attached to the scalp with electrode paste. “There are no needles or pain involved, says Dr. Aaron R. Noonberg, a co-author of the book, “Biofeedback (1980).” These electrodes record the average activity of a whole population of neurons, or nerves, that are in the area under the electrode. The output of the electrodes is then recorded. At any moment, certain areas of the brain are more active than others. For instance, if we are looking at something, the visual part of the brain becomes more active. When we talk, other areas shift into high gear. Our brain waves consist of several types, or frequencies, that can be read by a trained individual with an EEG machine. An EEG is like an EKG for your heart, except for the fact that it only monitors brain activity. Neither an EKG nor EEG does anything to you: they simply measure and record the information.BRAIN WAVESEach type of brain wave reflects what type of activity the brain, and consequently, the person, is experiencing. Brain waves are sort of like your heart beat. If your heart is going really hard and fast, you get several beats per minute. If it is resting, then the pulse is slower. Something similar happens in the brain. The electrical activity increases when your brain is more active and slower when it is more relaxed. So, a skilled person can determine from EEG records whether the person is asleep, dreaming, awake or excited. Abnormalities in the EEG may also suggest the presence of epilepsy, a tumor, or other problems such as attention deficit disorder. WHAT KINDS OF PROBLEMS CAN WE USE IT FOR? Many problems can be treated using Neurofeedback. As stated above, Neurofeedback reflects back to us what is going on in the brain. The fascinating thing is that we can learn to control and change our brain waves through the use of sophisticated equipment. Over a number of sessions we can learn to manage attention deficit problems, stress, anxiety, pain, depression, migraines, to name a few. While Neurofeedback is a powerful tool, often it must be used in conjunction with psychotherapy or medication to achieve the best results. It is not a magic bullet that can cure everything that ails us and may not be as effective if we don’t change some of our thinking or behaviors. All medications carry with them side effects. Some are therapeutic, and/or tolerable, but many can be very difficult to live with. One of the advantages in the use of Neurofeedback is that any unwanted side effects are easily reversible within the same treatment session. We rarely see negative side effects with Neurofeedback. More often, patients report positive side effects: that their sleeping patterns are improved or their psychotherapy becomes more effective. It not only seems to be highly impressive in treating certain problems but is safe as well. Don’t get me wrong, I believe very strongly in medications. I wouldn’t be here today if it weren’t for modern science. While it is safe, this treatment is not cheap, with sessions costing $100 or more. After evaluation and 20 to 40 sessions, it can cost between $2000 to $4000. And even though it can be less than the cost of doctor’s visits and medications, insurance companies may do not cover it. That’s never the case with medications. Once you discontinue them, the effects disappear within a very short period of time. Years ago, braces seemed an extravagant measure. Now, parents often plan the cost of braces in their budget along with preventive medicine and college for their children. It would only make sense that those same parents would want to use the most effective means available to help their son or daughter who has difficulty learning because of an attention problem.LEARN MOREIn order to learn more about Neurofeedback read, “A Symphony in the Brain” by Jim Robbins, or “ADD, The 20-Hour Solution” by Steinberg and Othmer. These books explain Neurofeedback, its history, applications, and what you can expect, in detail. In addition, you can visit my website; www.neurofeedbackofmaryland.com to learn more. I have links there to other websites that are useful, too. I will be writing “Understanding Neurofeedback, Part Two” in the near future, with special information about its applications with attention deficit problems.